Apple cider vinegar has been in the news lately because of its lowering affect on blood sugar, but it’s important to note this is not its only health benefit. See my post: Apple Cider Vinegar’s Many Health Benefits (About). A sore throat can be an indicator of a respiratory viral infection getting a foothold, so in addition to using one of these ACV remedies, I highly recommend taking an antiviral tincture for respiratory viruses, such as the Lomatium complex at Bigfork’s Swan Valley Herbs. A salt gargle, or Sage & Thyme Gargle or Tea can also be helpful. Organic raw, unfiltered apple cider vinegar (ACV) – with the Mother – is well-known for its antimicrobial properties. Here are a few gargle options, repeating several times a day. Note: Don’t swallow the mixture, and rinse your mouth each time after gargling. And drink plenty of fluids especially lukewarm water throughout the day. 1 tsp unrefined sea salt or Kosher salt. This cough and sore-throat remedy is my adaptation of a recipe recommended by Bonnie K. McMillen, a nurse from the University of Pittsburgh (2), originally from Herbally Yours by Penny C. Royal, 3rd Edition, June 1982. I found the original recipe on Mercola (1). It can be taken as a “drizzle” – sipping a tiny amount every few hours and swallowing slowly for the throat to get maximum contact with the mixture, if you have sore throat problems. Or you can take it as a traditional gargle. Be sure to use ginger and cayenne packaged less than a year before using for maximum benefit. 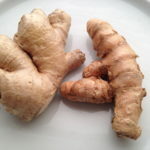 You can also make your own ground ginger: peel, then grate ginger-root; dehydrate, then grind. 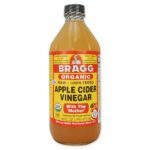 If you are not used to this combination, consider starting with just the ACV, water and honey, as the complete recipe tastes horrible (according to Bonnie). Caution: Do not give either version to young children, especially those under the age of 2. Recipe: Combine the following in a glass, and take tiny sips every few hours, swallowing each sip slowly for your throat to get maximum contact of the mixture.